Blog > Quizzes > Quiz Time! Which Breed of Sheep is Your Spirit Animal? Quiz Time! Which Breed of Sheep is Your Spirit Animal? Are you a marvellous Merino or a wild Peruvian Highland sheep? A curious Falkland or poised Blue-Faced Leicester? Don’t be sheepish! Discover which breed of sheep is your spirit animal with our personality quiz! Just answer the following questions to find out! What’s your dream holiday escape? 4. City break visiting lots of museums and galleries. 1. It’s all about the latest trends. 2. Soft with fabulous drape. 3. Classic, sturdy jumpers I can wear everyday. What’s your perfect Sunday morning? 1. Brunch with friends in town. 2. Lie in followed by Sunday television in your PJ’s. 3. A morning walk in the country to start the day. 4. Morning yoga and meditation. 1. Bold and bright statement pieces. 2. Heritage chic, with a modern twist. 3. Huh, I just threw this on! 4. I like one-of-a-kind garments, for a truly original look. 1. Spring – when the weather’s crisp and flowers begin to bloom. 3. Autumn, full of golden hues! What’s your dessert of choice? 3. I’m not a sweet tooth! I’ll have cheese and crackers. What’s your Saturday night tipple? Movie night: what’s your genre? 1. Dinner and a trip to the movie theatre! 2. Glam party full of glitz and bubbles! 3. Night in with good food and wine. 4. Fancy dress and karaoke. Want to stay in the knitting loop? Loved by all, you live life to the full! A sucker for romantic comedies and an affinity for beautiful bold colors, you’re always ready for an adventure! Attention to detail is key! You favor quality over quantity any day. With your unique style you’re certainly not one to follow the flock. You’re the top gaucho of the herd! You feel at home in the great outdoors. Your style is fuss free, and effortlessly chic. Playful and creative! You’re one of a kind with your eclectic style. Where will your curiosity lead you next!? Last updated: December 18th, 2017. 2 Responses to Quiz Time! Which Breed of Sheep is Your Spirit Animal? 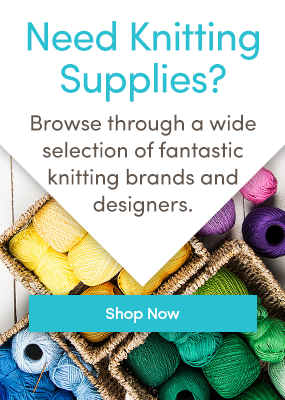 Do you erite a out knitting or anything else? Fiction? Game of thrines type fantasues? Absolutely correct. I do prefer to knit with merino even though I just started a project with yarn from the Falkland Islands. Merino, of course.